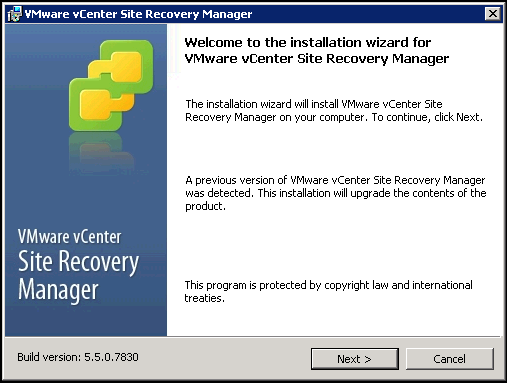 So after updating my vCenter Server Appliance to 5.5, the next obvious choice was to update Site Recovery Manager and the vSphere Replication Appliance. Note: the way I’m upgrading my demo environment is not according to best practice…. it’s merely a quick way to document and try out the upgrade process! 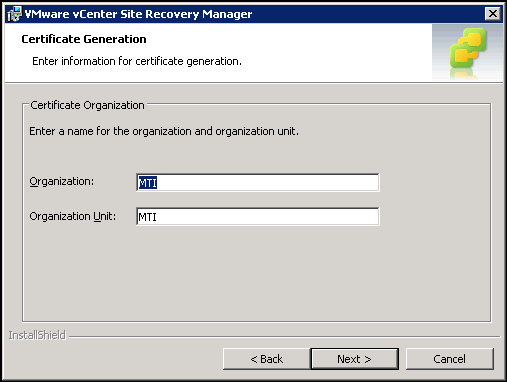 Upgrade vCenter Server on the protected site. Upgrade SRM Server on the protected site. Upgrade the storage replication adapters (SRA) on the protected site. 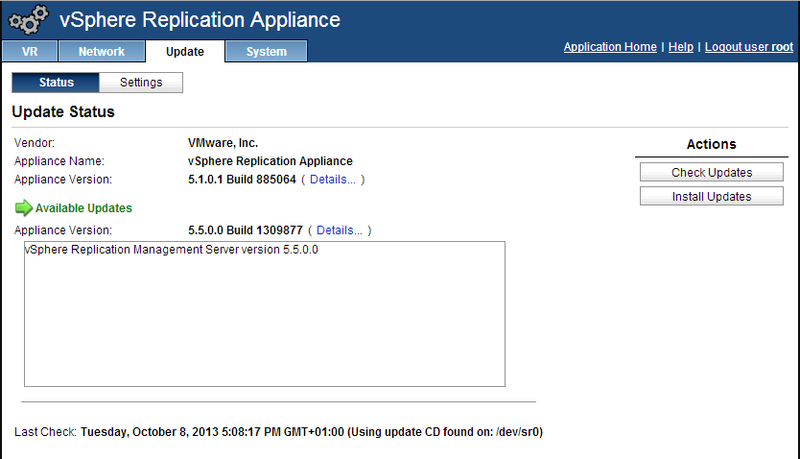 Upgrade the vSphere Replication appliance on the protected site. Upgrade any additional vSphere Replication server instances on the protected site. 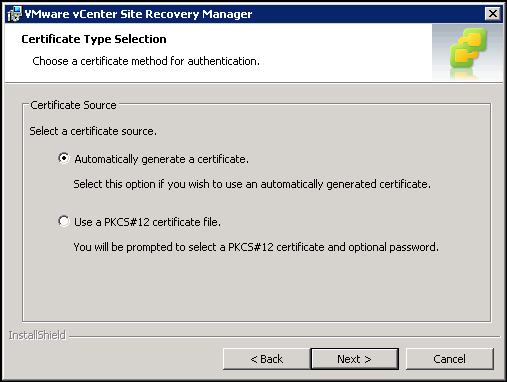 Upgrade vCenter Server on the recovery site. Upgrade SRM Server on the recovery site. 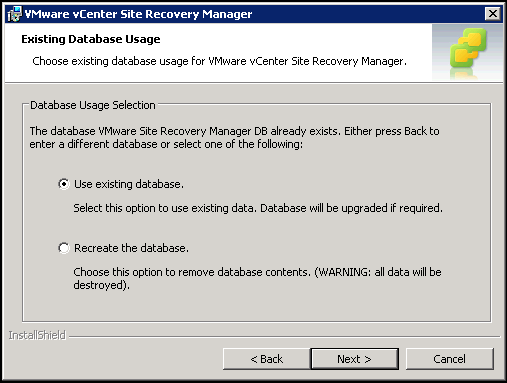 Upgrade the storage replication adapters (SRA) on the recovery site. 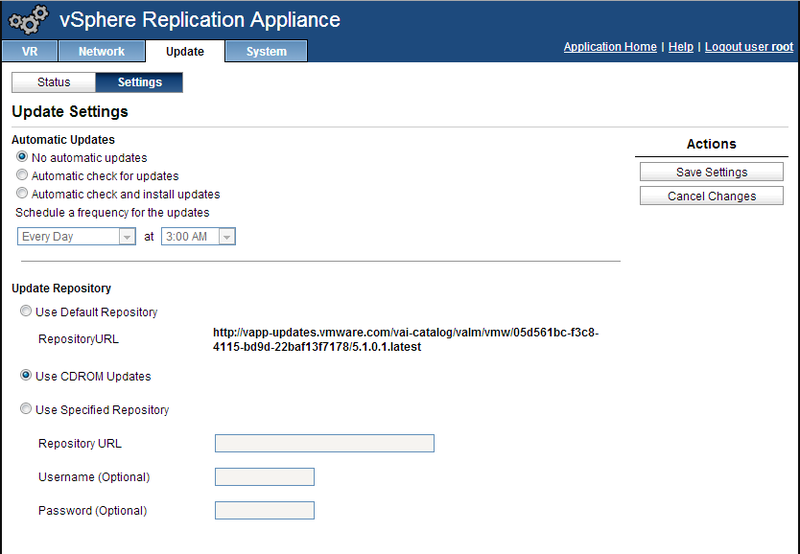 Upgrade the vSphere Replication appliance on the recovery site. 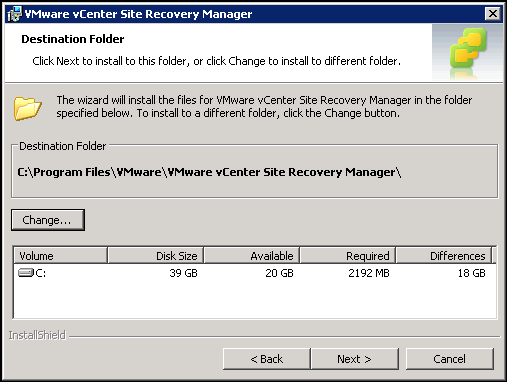 Upgrade any additional vSphere Replication server instances on the recovery site. Configure the connection between the SRM sites and vSphere Replication appliances. Verify that your protection groups and recovery plans are still valid. 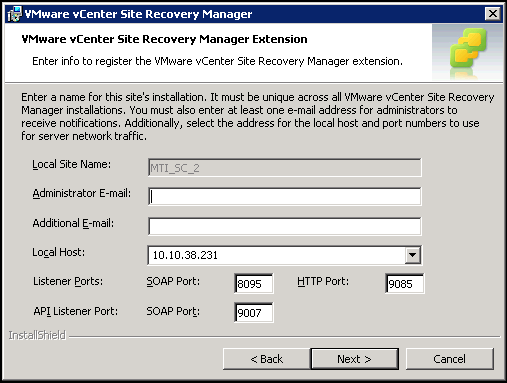 Upgrade ESXi Server on the recovery site. Upgrade ESXi Server on the protected site. Upgrade the virtual hardware and VMware Tools on the virtual machines on the ESXi hosts. 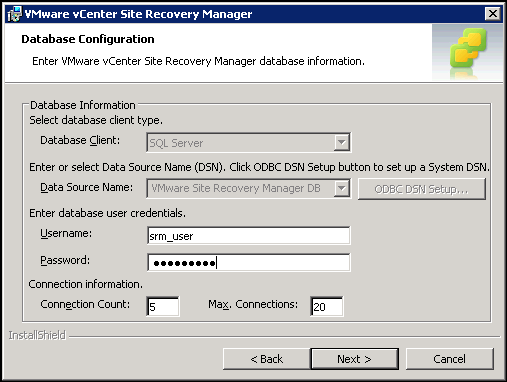 When you upgrade Site Recovery Manager, there’s no real need to do anything to your database as the upgrade preserves all information in the current SRM DB (so basically preserving your protection groups, inventory mappings and recovery plans, plan run history, etc). However, if you’re not running 5.1 or later then you will need to create a 64bit ODBC system DSN (SRM 5.0.x used a 32bit ODBC DSN). Any deployment of SRM earlier than 5.0 will require a two-step upgrade, first to 5.0.x then to 5.5. Fortunately I’m going to step through an upgrade from SRM 5.1, so my ODBC is already in place! 1. On the SRM server, start the installer. 2. Choose where you wish to install the new version of SRM. 3. 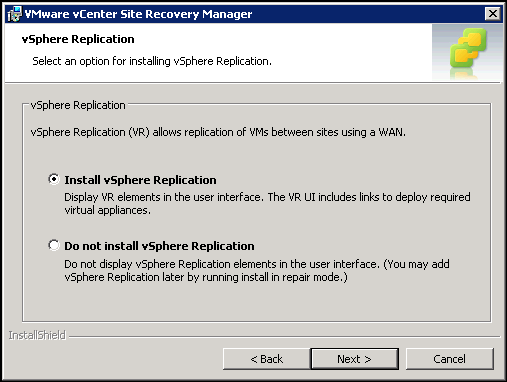 Choose to install vSphere Replication if you’re using it (Which I am). 4. 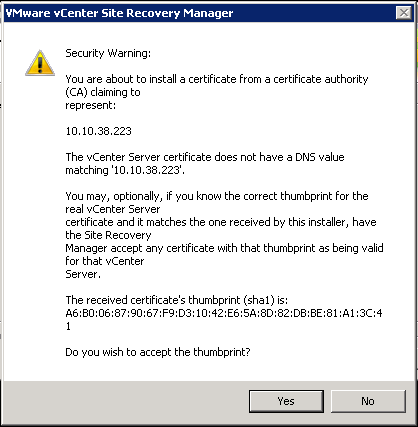 Enter the vCenter Server credentials (the installer will notice SRM is already installed and pick up the IP address of the vCenter Server). 5. Accept the SSL certificate warning. 6. 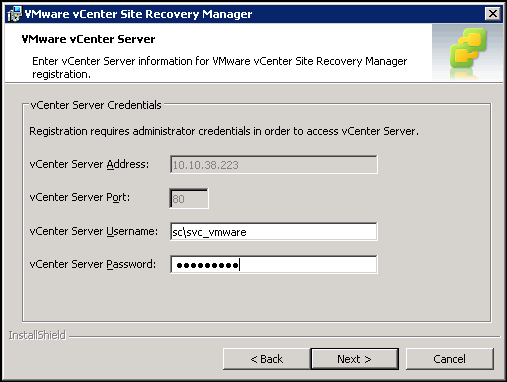 Once the installer connects to your vCenter Server, it will identify that you already have a registered extension for SRM. Click Yes to overwrite the old extension. 7. Select the type of authentication to be used (in my case I’m letting SRM auto-generate a self-signed certificate). 8. Enter the Organisation and OU in order for SRM to generate the certificate. 9. Enter an administrator’s email address in order to obtain SRM generated alerts. 10. The installer will pick up the ODBC connection and request you to enter the existing SRM DB user information. 11. Select Use existing database, choosing the other option will wipe everything from your existing SRM deployment! 12. Click Install to kick off the upgrade. 13. 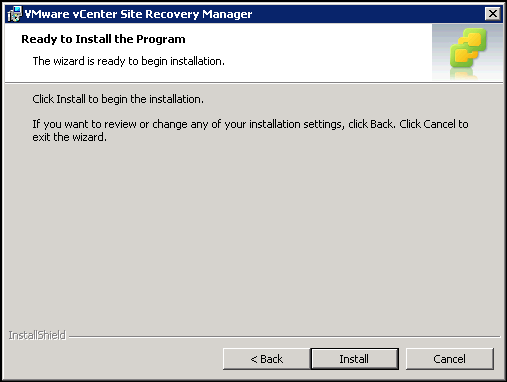 Once installation is complete, you will need to upgrade the vSphere Client Plug-in for SRM. You will need to uninstall the old SRM plug-in from within Windows Control Panel->Programs. Job done…… now to upgrade the existing vSphere Replication Appliance…. You can upgrade the vRA either using vSphere Update Manager, via the online repository, or via an offline repository (like an ISO image). Unfortunately like the VCA, I couldn’t find an 5.5 update using the online repository so had to mount the vRA 5.5 ISO image to the vRA and update via CDROM. 1. Log into the vRA management console (https://vra-IP:5480 or http://vra-IP:8080 if its vRA 5.0.x) and select the Update tab. Select Settings and then choose Use CDROM Updates and click Save Settings. 2. Click on Status and it should display any update files it has found in the mounted ISO image. Click Install Updates. 3. Once update is complete, you will need to reboot the vRA…. don’t forget to unmount the ISO image…..
Voila….. it’s as easy as that!